The star begins her first ever UK tour this week and will be joined by MiC Lowry and 1Xtra’s DJ Ace. Getintothis’ Shaun Ponsonby takes a look at what we can expect. Grammy winning R&B star Bridget Kelly is about to embark on her first ever UK tour, with the first date being at Liverpool’s own the Arts Club on Seel Street. Kelly, who spent six years in Jay-Z’s Roc Nation Camp and has toured alongside him many times, won a Grammy for song writing in 2013, and has collaborated with the likes of Kendrick Lamar (on Street Dreamin’). Read Jimmy Coultas’ take on Kendrick Lamar and Rapsody’s genius on To Pimp a Butterfly‘s Complexion (A Zulu Love). Her unique and powerful voice is prominent throughout her current EP, Summer of 17. Of note is the EP’s single, Act Like That, a track with a laid back summer vibe which beautifully takes our mind off this crappy November weather. The track also features singer-songwriter Mack Wilds, who some of our readers may also recognise as Michael from The Wire. 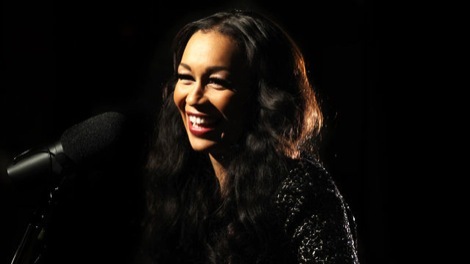 Joining Bridget Kelly will be local favourite and MOBO winners MiC Lowry. MiC Lowry won the MOBO Unsung Award this year, which led to them conducting a hugely successful UK tour. Getintothis are longtime supporters of the group’s mentor Esco Williams, and their single Supermodels features grime MC Wiley. This will be their first show in the city since his rapturously received set at the recent SoulFest at Constellations (which, like this gig, was staged by Soul Inspired Events). DJ Ace of BBC Radio 1Xtra completes the bill. As line-ups go, Bridget Kelly and MiC Lowry – along with DJ Ace – is one that R&B heads in the city should be clamouring for. Bridget Kelly plays the Arts Club on Saturday, November 21. Tickets are priced just £7-£10.